Tooth decay is the permanent destruction of the tooth, and this condition often results in discoloration and fracture of the infected tooth. Over the many stages of tooth decay, pits and holes are also formed due to the collective effect of sugar, saliva, and bacteria in the mouth. It can be healed through one of the many tooth decay treatment options, depending on the extent of the decay. It is important to take up treatment measures as soon as the primary tooth decay symptoms have been noted. Fluoride (a form of Fluorine) is a mineral that helps the teeth repair themselves at the earliest stage of decay. If your cavity is just getting started, fluoride treatment can help restore the enamel (the outermost protective layer of the tooth). Fluoride treatment is an early tooth decay treatment option that dentists recommend. Fluorides are present in tooth pastes, mouth rinses, and in some instances, fluoride is added to community water supplies. However, professional fluoride treatments contain more fluoride than the amount found in toothpastes and mouth rinses. Fluoride treatment is normally carried out through a liquid solution, gel, foam, or varnish that’s brushed onto the teeth or placed in a small tray that fits over the teeth. This tooth decay treatment measure takes just a few minutes, and dentists often suggest undergoing periodic fluoride treatments. Dental sealants are thin protective coatings that can seal the decay. They can be used only during the initial stages, when the enamel has not been broken down. Under this tooth decay treatment option, your dentist will apply the sealant to the chewing surfaces of the molars. This coating prevents the accumulation of plaque (thin naturally forming film of mucus and bacteria) on these vulnerable surfaces. Fillings, also called restorations, are the main treatment option when the decay has progressed beyond the enamel layer. While filling, your dentist will drill away the decayed part of your tooth, clean it up, and then fill the gap to restore your tooth’s shape. Fillings are made of various materials, including tooth-colored composite resins and silver amalgam. A crown is a covering that replaces your tooth’s form, size, and shape. If you have extensively decayed or weakened teeth, you may need a crown (cap) rather than a filling, when you opt for tooth decay treatment. Crowns are made of gold, porcelain, or porcelain that’s fused to metal. Your dentist will drill and remove the decayed area and part of your tooth to ensure that the crown fits just right. When the decay is extensive and reaches the inner material of your tooth (pulp) where the nerves are present, you’ll need a Root Canal Treatment (RCT). In this tooth decay treatment procedure, the tooth pulp is removed and replaced with a filling. This is a minor procedure that is carried out under the influence of an anesthetic. In cases where the decay is very severe, so much so that not even root canal treatment can save it, your dentist will advise you to remove the entire tooth through extraction. This is not a painful procedure, as recent developments in the dental field have made the procedure effortless and simple. How Do You Know If You Need Tooth Decay Treatment? You may not be aware that a cavity is forming, so paying your dentist a regular visit is the best way to spot cavities and dental decay. If the cavity is treated before it starts causing pain, you probably won’t need extensive treatment. It’s important to undergo regular dental checkups and cleanings even when your teeth feel fine, as your dentist will constantly keep you updated on the causes of tooth decay and how you can avoid them. By the time you notice the symptoms, it may be too late to save your tooth through tooth decay treatment measures. What Is The Root Canal System? 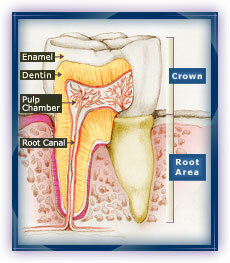 The root canal system contains the dental pulp and extends from the crown of the tooth to the end of the root. A single tooth can have more than one root and root canal. Root canal treatment is used to deal with a highly infected tooth, without removing it. Root canal treatment, also known as ‘endodontic therapy’, is a procedure carried out to repair and save a badly damaged or infected tooth instead of removing it. 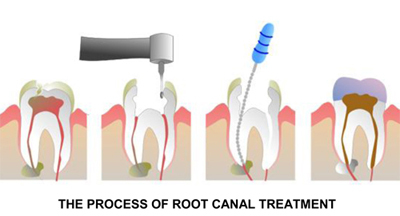 The term ‘root canal treatment’ is used because under this procedure, the canals inside a tooth’s root are cleaned. Is Root Canal Treatment A Painful Procedure? Decades ago, root canal treatments were very painful. With advancements in the dental field and the development of local anesthetics, most people who undergo this treatment face minor or no pain. In fact, living with a decayed or infected tooth is more painful than going through the procedure. Alternatives include the removal of the damaged tooth, which in turn will be replaced with artificial substitutes such as dental implants, bridges, or removable partial dentures. Will Any Decayed Tooth Require A Root Canal Treatment? No, only a badly decayed tooth with a deep cavity needs a root canal treatment. In such situations, bacteria enters the pulp of the tooth. When left untreated, bacteria and the decaying material can cause a serious infection or a tooth abscess (accumulation of pus), leading to the death of the pulp, bone loss, and loss of the tooth itself. What Symptoms Will A Badly Decayed Tooth Have? A root canal procedure requires one or more visits to the dentist and can be performed by a dentist or endodontist (is a dentist who specializes in the causes, diagnosis, prevention, and treatment of diseases and injuries to the human dental pulp or the nerve of the tooth). Step 1: At the start of the treatment, the dentist will take an X-ray to see the shape of the root canals and determine if there are any signs of infection in the surrounding bone. Step 2: Your dentist or endodontist will then use local anesthesia to numb the area near the tooth. Anesthesia may not always be necessary, since the nerve may be dead. However most dentists might still anesthetize the area to calm you down. Step 3: Next, your dentist will place a rubbery sheet called the rubber dam around the tooth to keep the area clean, dry, and free of saliva during treatment. Step 4: A hole will then be drilled into the tooth. The pulp, along with bacteria and the decayed nerve tissue, will be removed from the tooth once this is done. Step 5: Dentists use certain instruments/tools known as root canal files for the cleaning process. These files are placed into the access hole and worked down the full length of the tooth to clean and scrape the sides of the root canals. Step 6: Saline and certain chemicals like sodium hypochlorite are used periodically to flush and remove the debris. Step 7: If there is an infection in the tooth, your dentist may use medication inside the tooth to clear it up. The root canal treatment is completed over subsequent visits. Step 8: The dentist will also seal the tooth with a temporary material once it is thoroughly cleaned, in order to prevent contaminants like saliva and food getting into the tooth between appointments. On the other hand, in the absence of an infection, your dentist may choose to seal the tooth on the same day. Some dentists use a sealer paste and a rubber compound called gutta percha to fill the prepared root canal. Step 9: The final step involves restoring the tooth to its original shape and size. Invariably a tooth that needs a root canal is one that has a large cavity. For this reason, it needs to be protected from future damage for it to return to its normal function. To achieve this, the dentist will place a crown (a realistic-looking artificial tooth) over the treated tooth. Sometimes, a metal post must first be inserted into the root canal for structural support and to keep the crown in place. Your dentist would be the best person to clarify any doubts regarding the root canal procedure. What Does The Post Procedural Care Involve? Once the root canal treatment has been completed, avoid chewing or biting on hard foods until the tooth is fitted with a crown. Your restored tooth may feel sensitive or uncomfortable for a few days. However, the pain will be much lower and bearable. Painkillers such as paracetamol or ibuprofen can be taken to relieve mild discomfort. It is appropriate that you consult your dentist before taking any medication. Most root canal treatments are successful, but in rare cases, the presence of a recurring infection may necessitate a re-treatment. When re-treating a tooth, the root canal filling material is taken out, and the canal is cleaned, shaped, and filled again. Remember: Taking up regular dental check-ups with your dentist, taking good care of your teeth by brushing and flossing, and choosing healthy, tooth-friendly snacks will ensure that you don’t have to go through a root canal treatment during your lifetime! Tooth decay or dental caries is one of the most common bacterial infections that affect the teeth. Such decay results in the dissolution and destruction of calcified and organic components of the teeth. The condition is characterized by primary tooth decay symptoms, which should be immediately identified and dealt with. In most cases, tooth decay goes unnoticed till the advanced stages as it’s a chronic condition that’s relatively painless in the beginning. If such decay is detected early, its progression can be interrupted and the tooth structure can be restored with proper treatment. Here are the five tooth decay symptoms that you can detect on your own, without the help of a physician. Check to spot any form of discoloration in your teeth in front of a mirror, because this can give you a fair idea about your dental health. 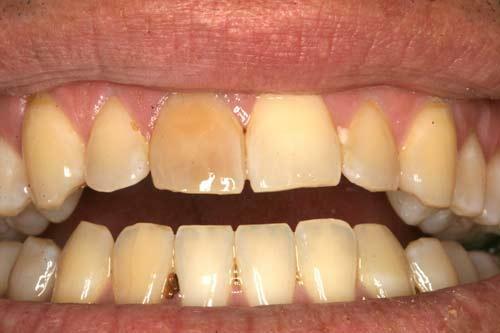 An initial lesion usually causes a chalky white discoloration on the surface of the teeth. Brownish black pits or fissures on the biting surfaces or at the sides of the teeth indicate tooth decay. Rotten teeth play host to a gradual decay of the organic components (tooth pulp), so you will often experience bad breath while exhaling. The cavity formed due to the causes of tooth decay provides enough room for food material to get lodged. When the food that’s stuck in the tooth cavity undergoes decay, it produces bad odor, which is one of the most prominent tooth decay symptoms. Tooth decay is characterized by the increased presence of putrefying bacteria in the oral cavity, which can cause an alteration in taste perception. As the condition worsens, you may constantly experience a foul taste in your mouth and bad breath. These symptoms are especially active in the morning, after you wake up from a good night’s sleep. Demineralization of the enamel (the outermost layer of the tooth) exposes the passages of nerve endings (dentinal tubules), causing increased sensitivity to cold or hot food items. Increased sensitivity is one among the common tooth decay symptoms. 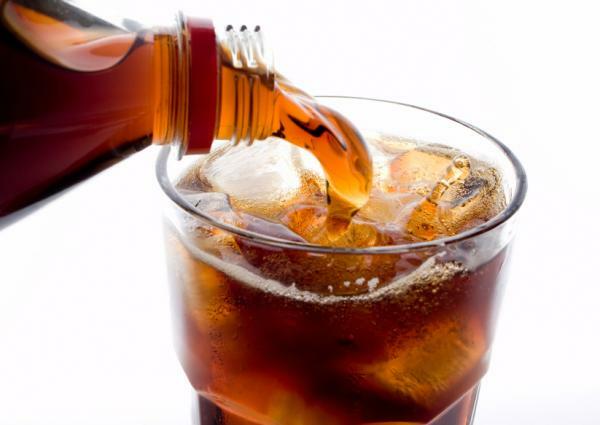 If you experience a sharp and painful sensation in the teeth while consuming hot or cold drinks, dental caries is the usual suspect. As the tooth continues to decay, the pain progresses from mild to severe levels. Severe pain usually indicates the extension of the infection into the tooth pulp. In advanced cases, the infection can spread to surrounding tissues such as the gingiva, alveolar bone, and periodontal ligaments. When left untreated, the condition can result in serious complications such as Ludwig’s Angina, Osteomyleitis, and Cavernous Sinus Thrombosis. It is always wise to detect dental caries early and interrupt the progression of the disease right during the initial stages through tooth decay treatment options. Tooth decay is an irreversible condition, so it has to be restored by a qualified dentist. In its initial stages, it can be treated by simple cavity preparation and filing, whereas the advanced cases that involve the pulpal tissue are treated with root canal treatment, which is quite complicated and expensive. Following proper oral hygiene and visiting the dentist regularly can help in maintaining good oral health and keeping such diseases at bay. You should be well informed about the various tooth decay symptoms and seek medical advice as soon as you spot them. Before looking into the various stages of tooth decay, you should first understand the basic structure of the tooth and what tooth decay actually is. This will help you learn how the condition slowly progresses and culminates in further complications. Let’s start with the basics. For the ones that didn’t pay close attention in middle school, teeth in humans have external and internal structures. Crown: The part of the tooth that is above the gums. Root: The part that’s hidden below the gums. Pulp: The innermost part of the tooth, which contains blood vessels and nerves. Dentin: The layer that surrounds the pulp. Enamel: A hard, protective outer layer that covers the crown. Cementum: The hard layer that covers the dentin of the root. Tooth decay is a degradation process that results in permanent structural damage to the infected tooth. It is also colloquially known as ‘tooth cavity’ and scientifically termed ‘dental caries’. After each meal, food debris clings to the teeth. If this is not brushed away, the bacteria in the mouth transform the sugars in the food debris into acids. These acids then cause a breakdown of the tooth structure. As the stages of tooth decay keep progressing, the infection spreads to nearby teeth as well. The first stage of tooth decay involves the appearance of yellowish spots or chalky white areas on the surface of tooth due to the loss of calcium. Such tooth decay is still reversible, with proper treatment. The decaying tooth can be saved by the application of fluoride and certain minerals present in the saliva. During the initial stages of tooth decay, the condition can be easily countered. During this stage, the tooth enamel starts breaking below the surface layer, with the surface intact. If the decay persists, the surface of the tooth will be broken and this damage is irreversible. At this stage, your tooth needs to be cleaned and filled by your dentist. In the third stage, the decay progresses beyond the enamel into the dentin. At this juncture, your dentist can still restore the affected tooth with a filling. The pain levels also start intensifying along with the many stages of tooth decay. Any dental pain should be immediately noted so that the problem can be dealt with soon. The pulp of the tooth gets involved and infected due to the action of bacteria. Pus formation results, causing the blood vessels and nerves in the pulp to die. At this stage, root canal therapy is the only option of treatment. The infection reaches the root tip of the tooth. The bones surrounding the tooth also get infected, causing severe pain. This is the final stage of the infection. You may have visible swelling on the cheeks, along the affected side. Your dentist will prescribe antibiotics and painkillers. The dentist may perform a root canal therapy or remove the infected tooth at this stage. An extremely simple fact to remember is that you can easily prevent tooth decay. The stages of tooth decay are easy note – all you need to do is pay attention to your dental hygiene and get regular check-ups done. It is also important to spot the symptoms early, because the damage caused during the later stages of tooth decay can be irreversible. Tooth decay also known as ‘dental caries’ or ‘tooth cavity’ is the permanent destruction of the tooth, resulting in discoloration or systematic fracture of the tooth/teeth. By learning how to prevent tooth decay, you can ensure that teeth remain healthy over time. Tooth decay occurs as a result of an interaction between food, bacteria, and teeth. The longer food particles stay on the surface of the tooth, the greater is the risk of decay. Who Can Be Affected By Tooth Decay? Interestingly, people of all ages can be affected, though tooth decay in children is more common owing to the greater intake of candies and chocolates. Also, any tooth in the mouth is susceptible to decay. Can A Decayed Tooth Be Treated? Yes, definitely. There are many tooth decay treatment options available for countering the problem, including root canal treatment. However, it is of significance to state that learning how to prevent tooth decay is far more important than treating it. If you’re wondering how to prevent tooth decay, here’s a tip: start flossing! Here are some extremely simple tips that can show you how to prevent tooth decay. If you’re wondering how to prevent tooth decay, remember this – always start with the basics. Firstly, you should take good care of your teeth and maintain proper oral hygiene. Brush twice a day. This will help in removing all external germs and bacteria from your teeth. Floss daily. 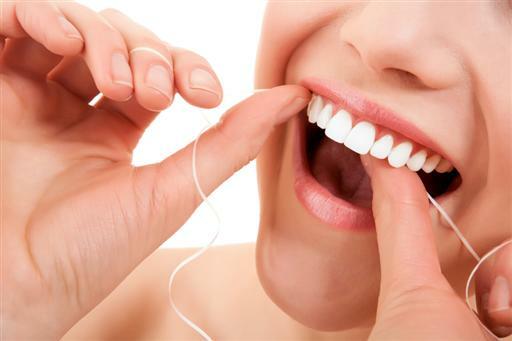 Flossing removes food particles from between your teeth and under the gumline, where a toothbrush cannot always reach. Rinse your mouth after every meal, especially after you eat sticky foods. Once you’ve got the basics covered, there are some dietary regulations you should know about, to learn how to prevent tooth decay. Always consume chewy, sticky foods (such as dried fruit or candy) as part of a meal rather than as a snack. Minimize snacking, as this creates a constant supply of acid in the mouth for the bacteria to act upon. Avoid sipping sugary drinks constantly or frequent sucking on candy and mints. Understanding the importance of fluoride can help you prevent tooth decay. A salt of fluoride, like sodium fluoride, can be added to the community water supply in order to reduce tooth decay. Some toothpastes also come with fluorides. It has been demonstrated that people who ingest fluoride in their drinking water have fewer risks of dental caries. Fluoride, when ingested while the teeth are developing, is incorporated into the structure of the enamel (outermost layer of the tooth) and protects it against the action of acids. Many dentists include the application of fluoride solutions (applied to a localized area of the teeth) as part of routine visits. Ask your dentist how to prevent tooth decay, and the very first option you’ll get will be dental sealants. These are thin protective plastic-like coatings that can prevent cavities to a certain degree. 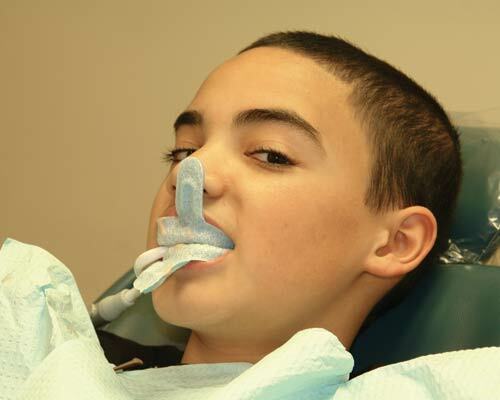 Sealants are applied to the chewing surface of the molars by the dentist. This coating prevents the accumulation of plaque (thin naturally forming film of mucus and bacteria deposited on the teeth that encourages the development of tooth decay) on these vulnerable surfaces. Dentist generally apply the sealant on the teeth of children, shortly after the molars erupt. However, older people may also benefit from their use. It is not enough to rinse your mouth with water. According to the American Dental Association, you can use a mouth rinse containing fluoride to help prevent tooth decay. A dry mouth can contribute to tooth decay, as studies have shown. You can end up with a dry mouth due to the decreased flow of saliva (maybe due to medical reasons), and this in turn contributes to tooth decay. Artificial saliva products, lozenges, gels and sprays are available in the market, and these can help you keep your mouth moist during all times. Ask your dentist for advice and recommendations before you choose any dental products. To learn how to prevent tooth decay, you should always watch out for tooth decay symptoms and keep in touch with your dentist. Fillings and crowns in slightly affected areas can help prevent further decay. Under filling, the decayed areas are cleaned and the defected areas are restored or filled with a plastic like material. If you have extensive decay or weakened teeth, you may need a crown (cap) rather than a filling. A crown is a covering that replaces your tooth’s form that is visible in the mouth. When the inner part of your tooth (pulp) is decayed, you may need a root canal treatment to prevent pain and extensive infection. In this procedure, the tooth pulp is removed and replaced with a filling. To know how to prevent tooth decay, you should constantly stay in touch with your dentist and should go for regular check-ups. Your dentist will examine your teeth, professionally clean them, and recognize any sign of decay instantly. Baby bottle tooth decay is a common condition that many parents face when raising their infants, and this refers to the dental decay in infants, who don’t yet have fully developed adult teeth. Dental caries, also known as ‘tooth decay’ or ‘tooth cavity’, is a hole or a permanent structural damage to a tooth. Although one can prevent tooth decay, it remains one of the most common chronic problems that people face. Tooth decay is caused by a combination of factors, including the presence of bacteria in the mouth, the lack of a proper maintenance or cleaning routine, frequent snacking, and prolonged exposure to sugary drinks. To understand how to counter baby bottle tooth decay, you should first learn what the causes of tooth decay are. Baby bottle tooth decay refers to dental caries seen in a child from the time the baby teeth come out (6 months – 2 years) up to 4 years of age. The upper front baby/milk teeth are typically involved in this condition. It is caused by the retention of milk or formula feed in the mouth, especially at night, and it is also known by various other names like nursing bottle caries, nursing caries, bottle mouth, and bottle caries. 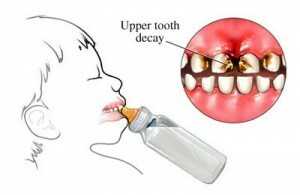 Why Are Children Affected By Baby Bottle Tooth Decay? A child that falls asleep with a feeding bottle or while breast feeding faces a risk of developing baby bottle tooth decay, explaining the name. Baby bottle tooth decay mainly affects the upper front teeth and the molars. When children are put to bed either during the afternoon or at night with a nursing bottle that contains milk or a sugar-laced beverage, the milk or sweetened beverage pools around the upper front teeth when the child is asleep. This carbohydrate-rich liquid provides an excellent medium for the grown of bacteria. Another fact to be kept in mind is that the flow of saliva decreases during sleep and for this reason, the sweetened liquid cannot be cleared as rapidly by saliva. This commonly results in baby bottle tooth decay with time. By actively taking up some preventive measures, you can avoid baby bottle tooth decay. 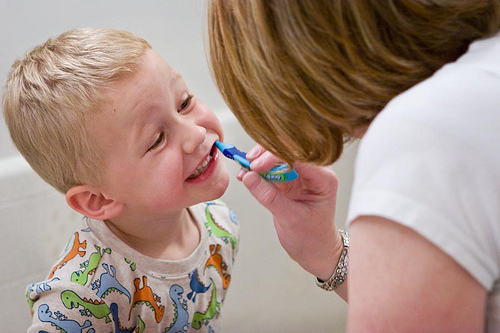 Start brushing your child’s teeth as soon as the first teeth come in. Gently brush with a child-sized toothbrush and water. Fluoridated toothpaste can be used safely when you are sure that your child spits out all of the toothpaste after brushing. Older children can use a toothbrush with soft, nylon bristles. Use a very small amount of toothpaste (no more than the size of a pea). You should consult the child’s dentist before considering using fluoride toothpaste. After each feed, wipe your child’s gums with a clean, damp gauze pad or washcloth. Rinsing the mouth is an option you can try with older children. Ensure that infants finish their bedtime and nap-time bottle feeds before going to bed. Put your child to bed with only a bottle of water if he/she is habituated to it. Avoid filling the bottle with liquids such as sugar water, juice, or soft drinks. If your child uses a pacifier, provide one that is clean, and do not dip it in sugar or honey. Take your child for his/her first dental examination by 9 months of age. If you’ve let the condition slip by unawares and your child’s teeth are infected, you can choose a treatment option based on the severity of the decay. Your options include filling or placing a cap over the decayed teeth, and in serious cases, the decayed tooth may have to be removed. Treating baby bottle tooth decay is extremely essential because the condition might affect the child’s further dental development and bring about decay in his/her adult teeth too.